Numerous applications can be solved using different sensor models. As well as standard sensors for high precision measurement tasks, miniature sensors with axial and radial measurement directions are also available. The sensors have a passive design and so do not radiate any heat onto the target, which enables them, depending on the model, to be used in different environments e.g. in a vacuum or hazardous (Ex) areas. 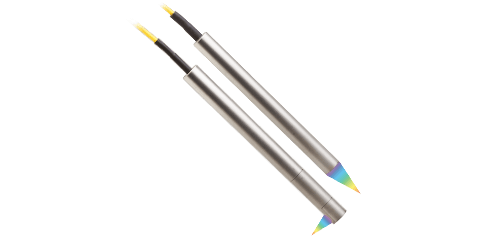 confocalDT IFS2402 confocal displacement sensors are especially suitable for high precision applications in restricted installation spaces. 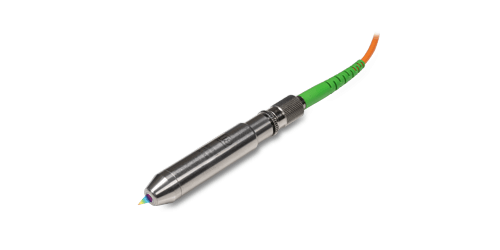 These miniature, confocal chromatic sensors with only 4 mm outer diameter and stainless steel case are used within narrow cavities or drill holes. A particular advantage is the sensor model with radial beam path enabling the detection of walls and structures. 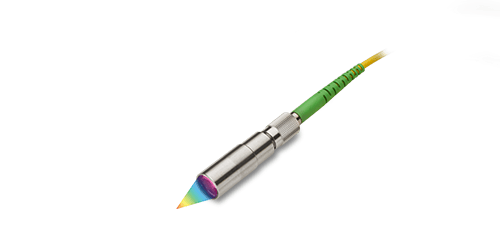 The new confocal chromatic confocalDT IFS2403 measurement sensor combines the benefits of two successful confocal design principles - the IFS2402 gradient index lens with just 4mm diameter and a discrete lens of 8mm at the font of the sensor. The gradient index lens allows significantly more light to be reflected from the object being measured which results in faster measurement rates and also the ability to measure darker objects. The discrete lens positioned at the front of the sensor allows significantly more target tilt than the smaller 4mm diameter lens and also a larger distance from the object to be measured. Combining these two principles results in a very capable, fast and compact sensor design suitable for many applications. confocalDT IFS2404 displacement sensors are designed for high precision applications in restricted installation space. 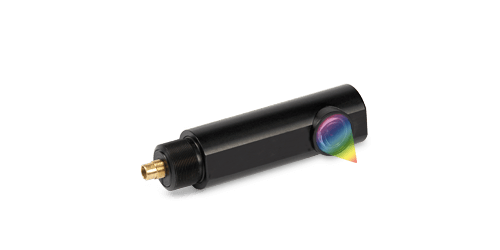 Based on a special lens technology, these sensors provide high resolution and a small light spot diameter. They are ideally suitable for high volume applications. confocalDT IFS 2405 are confocal displacement sensors for extremely precise applications. 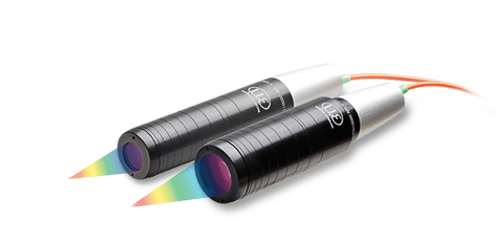 These confocal chromatic sensors offer large offset distances and tolerate tiltings. They are used for common measurement tasks and are in addition suitable for one-sided thickness measurement of transparent materials. 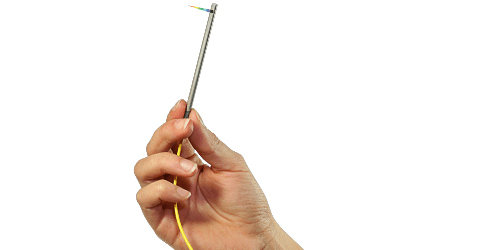 New: This sensor is now also available with a measuring range of 6 mm which is ideally suitable for measurements from a safe distance to the target. The confocal IFS2406 series of sensors are designed to offer high performance measurement yet with compact sensor geometry. The performance of the IFS2406 series is almost as high as the market leading IFS2405 series sensors, yet has a much more compact footprint. As well as high accuracy distance measurements on reflecting or transparent surfaces, the sensor can also be applied in one-sided thickness measurement of transparent film, plates or layers. Due to its axial and radial measuring directions, the IFS2406 sensors have more flexibility in how they can be mounted. The sensors are also are suitable for vacuum applications which enables many applications in semiconductor and micro-electronics production. The confocal chromatic confocalDT IFS2407/90-0,3 90° sensor is designed for precision displacement and surface roughness measurements. The sensor is equipped with a 90° lens and is therefore ideally suited to installation in restricted spaces. The lens in the sensor generates a small measurement spot size, which enables a high spatial resolution. The small measurement spot size combined with a large tilt angle enable roughness measurements where maximum precision is required. The confocalDT IFS2407-0,1 sensor is designed for high precision measurements of distance, roughness and thickness. The high numerical aperture (NA 0.8) enables the thickness measurement of transparent objects with a minimum thickness of 5 µm. Another light-intensive sensor model featuring NA 0.7 is specially designed for high speed processes.